Track the mighty grizzly bear through wild and rugged habitats and enter the forested trails and meadows where black bears prosper. You’ll never forget your first sighting of a Grizzly or Black bear in the wild. It’s the kind of heart-stopping moment where everything you imagined pales in comparison to the living, breathing reality before you. 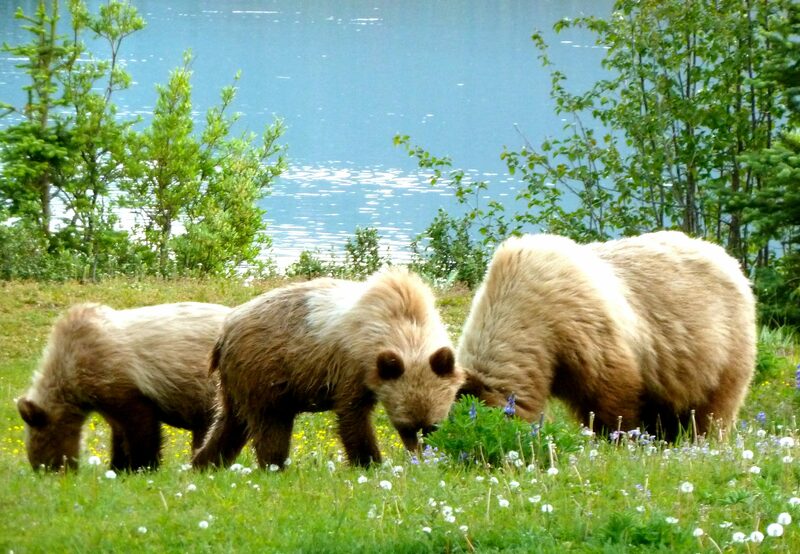 On our bear tracking and conservation adventure tour, you’ll enter the stunning wilderness these majestic creatures inhabit and experience the thrill of tracking, wildlife viewing and exploration of the most beautiful and remote wilderness in British Columbia. Stunning mountain ranges, endless forests, and rich plant life. Both people and bears seem to appreciate the epic beauty of the South Chilcotin Mountains. With pristine habitats and undisturbed forests, our mountains support one of the healthiest populations of black bears and Grizzly in Canada. Crawl inside an abandoned grizzly den, and gain a whole new perspective on the world around you. On our guided bear tracking and conservation tour, every step of the journey adds to the richness of your overall experience. And while the thrill of observing grizzly bears in Canada is hard to beat, we want you to live your wildlife viewing experience with more than a few sightings. We want you to have a deep understanding of how each grizzly bear interacts with the wilderness around him. These insights drive you to connect with nature on a deeper, more purposeful level, and understand why we fight to preserve it. That’s why our guides take every opportunity to enrich your bear tracking experience while sharing with you their knowledge and love for wildlife conservation. Place your hands in their tracks. Feel where a grizzly bear has ripped into the side of tree, leaving massive claw marks behind. With each tactile experience, you’ll start to see the wilderness through new eyes and connect with nature in profound ways. As you track each grizzly bear, or when your guide will take you to fields and meadows where we often spot black bears feasting on roots, berries, and fresh shoots of grass, you’ll likely find that you’re also explore a whole new outlook on life. Wildlife viewing is truly special in the spring, as the grizzlies and black bears in Canada emerge from their dens in search of food. The South Chilcotin Mountains are an incredibly unique cross section of habitats, which make this region ideal for wildlife viewing. Grizzlies make their home in this territory because it meets all of their habitat needs for feeding, bedding, and creating dens. Our grizzly bear tour takes you to the bears’ seasonal dwellings- from the lower slopes to the progressively higher meadows and wetlands. You’ll see grizzlies’ territorial rub trees and evidence of their foraging in marmot and pika burrows. And throughout your grizzly bear tour, you’ll learn how our park fosters such a healthy population of bears. 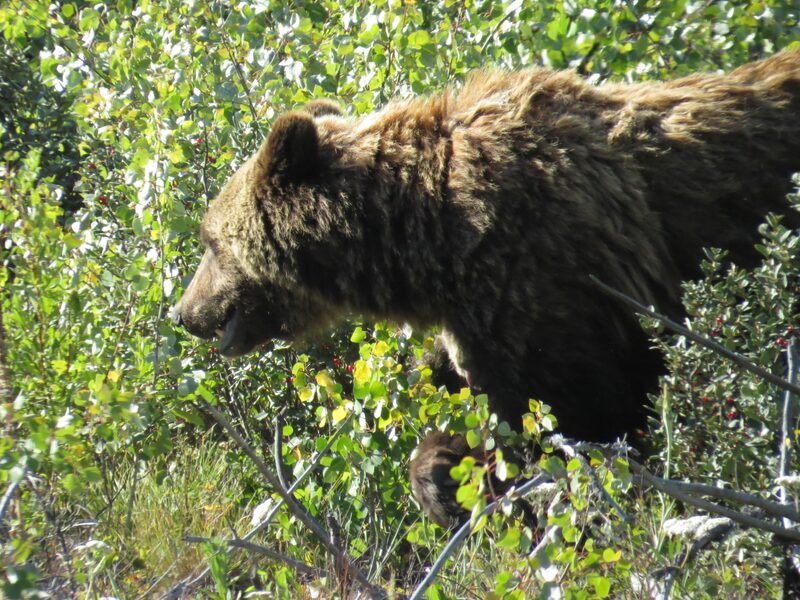 For instance, the whitebark pine seeds pack so much nutrition that the grizzly sows in our territory often have 3 or 4 cubs at a time- a much higher average than most grizzly bears in Canada. When we categorize our wildlife viewing as all-inclusive vacations, that means far more than just accommodations and meals. Throughout your tracking and conservation bear adventure, you’ll have an experienced wildlife guide who will give you an insider’s tour of the complex, wondrous wilderness that surrounds our ranch. From map orientations of the bears’ habitats and migration patterns to fun facts about our local bears, you’ll walk away from your bear tour with a greater understanding of these magnificent creatures. On our all-inclusive vacations, you also benefit from the local knowledge that we’ve accrued over 25 years in these mountains. 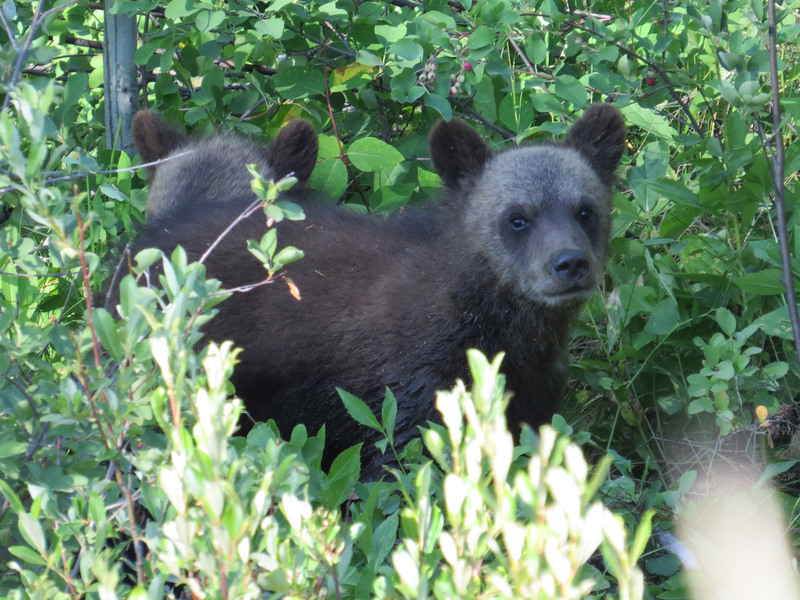 This insider information leads to more successful wildlife viewing because we know where the local bears are likely to be during each season and time of day. And, most importantly, our all-inclusive vacations also include peace of mind. Entering the wild and rugged habitats of grizzly and black bears in Canada does involve inherent risks. There’s no need to worry, though, because we structure each bear adventure to minimize risks. 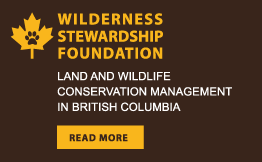 Each wildlife guide has trained in bear safety and adheres to our proven safety protocols for wildlife viewing. Rest assured that during your Grizzly and Black Bear Tracking and Conservation Dude Ranch, we’ll attend to the practical, necessary details of your adventure so you can relax and fully savor each special wilderness experience. We think you’ll find more than you were looking for in this boundless wilderness.